Explanation: Was Saturn's moon Phoebe once a comet? Images from the robotic Cassini spacecraft taken two weeks ago when entering the neighborhood of Saturn indicate that Phoebe may have originated in the outer Solar System. 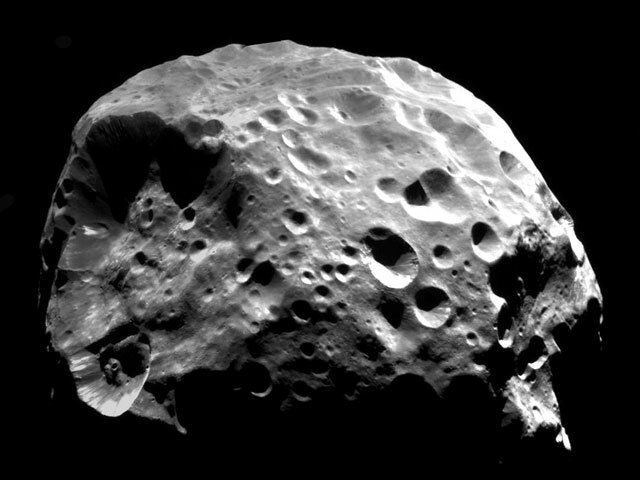 Phoebe's irregular surface, retrograde orbit, unusually dark surface, assortment of large and small craters, and low average density appear consistent with the hypothesis that Phoebe was once part of the Kuiper belt of icy comets beyond Neptune before being captured by Saturn. 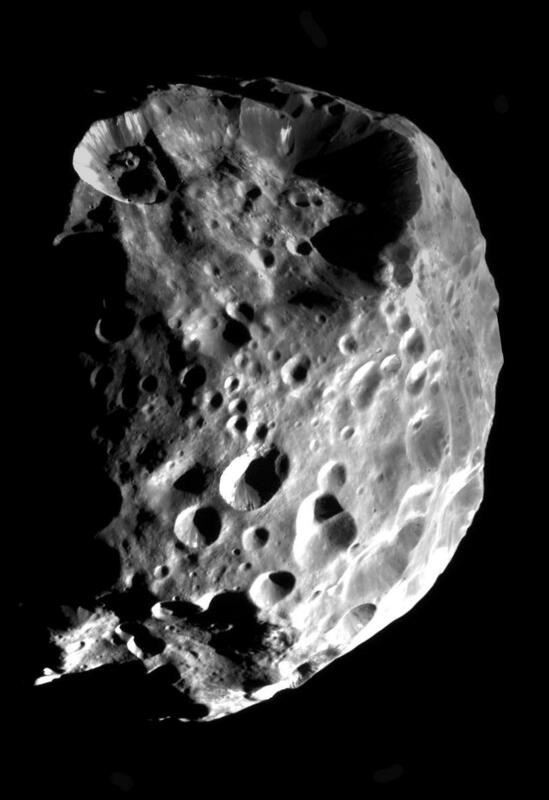 Visible in the above image of Phoebe are craters, streaks, and layered deposits of light and dark material. The image was taken from around 30,000 kilometers out from this 200-kilometer diameter moon. Late today, Cassini will begin to fire its engines to decelerate into orbit around Saturn.